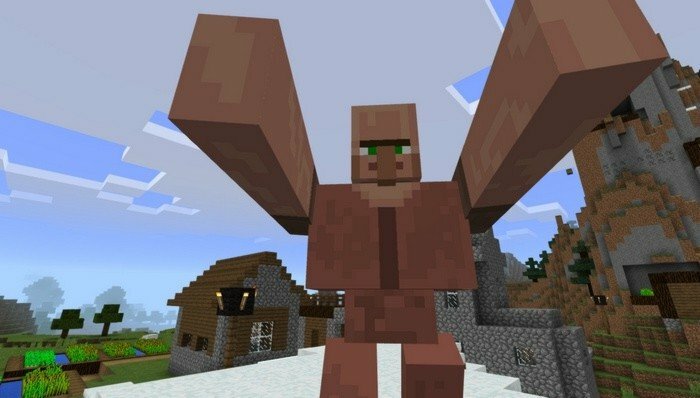 This mod changes textures and behavior of some mobs, to make the world look more like fantasy. Some of them will be friendly and useful to you in some way, but some will bring you problems. 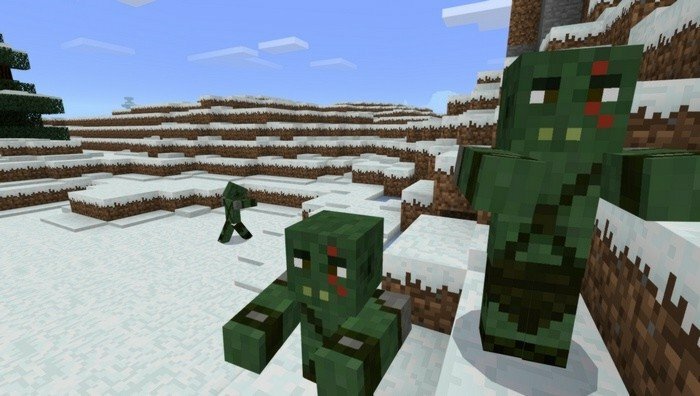 Zombies will be replaced by greenish Orcs, that do not burn on the sun and attacks everything in their sight. Another cool guys are mages, they will fight with hostile mobs by throwing fireballs, like Ghasts. 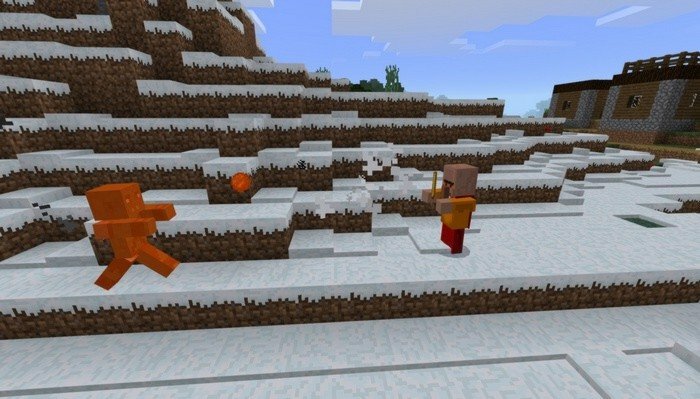 Using this mod you can reconstruct different battles from LOTR or other fantasy world in Minecraft PE. Giants are very big version of regular villager and it seems that they are neutral regarding to anyone. 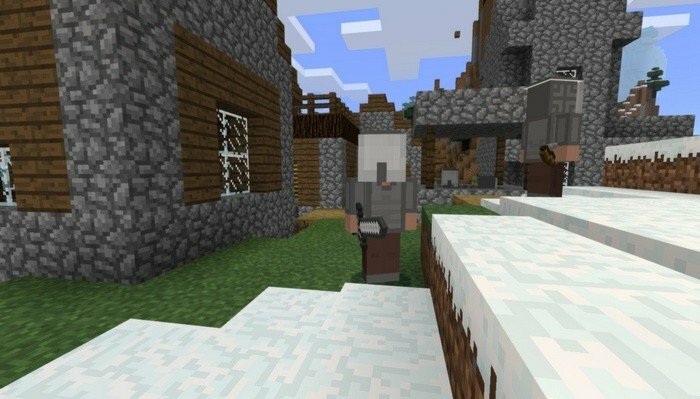 There is a chance to spawn guards in village, but even if they don't, you can transform any villager into such guard, by tapping on them using iron helmet in your hand.